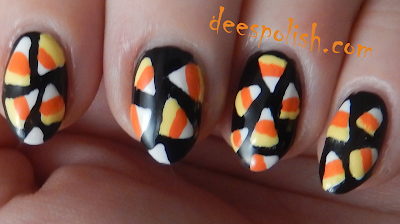 Today some nice, cheerful candycorn nails. I had a friend tag me in these.. and figured I should do them up! 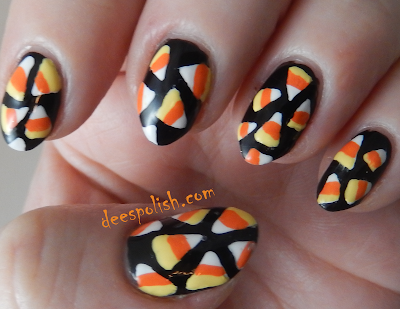 THIS is where I got the idea from - my pieces just happen to be a little larger. That is all for today - see you again tomorrow!